A special thanks to Josh Summers of Far West China for providing this update and photos. 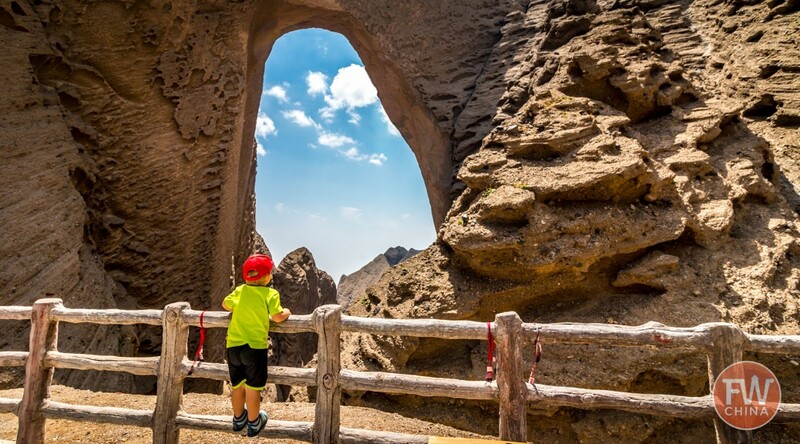 Shipton’s Arch in China is one of the world’s giant arches and is already described in some detail on the NABS website. What’s new is that a wooden walkway has been built to provide easy access to view the arch. The 3-minute video below shows the new access (note that when the video states the height of the arch is 1500 feet, that does not refer to the opening itself, which is 1200 feet high). 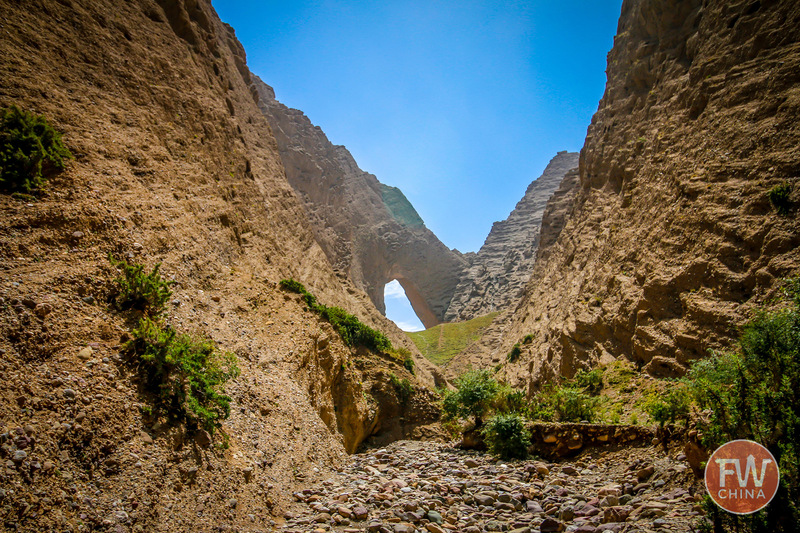 Shipton’s Arch is located in the mountains northwest of the city of Kashgar, part of China’s far west province of Xinjiang. For the first decade following the 2000 National Geographic expedition that re-discovered the arch, foreign travelers began to request a visit to the arch with local travel agencies. Special arrangements had to be made and at first many of the agencies had no idea what the foreigners were talking about—a proper name in Chinese wasn’t given to the arch until the late 2000s (the name is variously transliterated as “Toshuk Tagh“ or “Tushuk Tash“ in the Uyghur language or Ātúshi tiānmén in Chinese). These pioneering travelers, including Ray Millar of NABS, talk about an arduous climb that included a 4-wheel drive vehicle, a local guide and a number of rickety ladders. All of that—for better or worse—has changed. A new road leads from the highway to a new visitor’s center right next to the trail head. 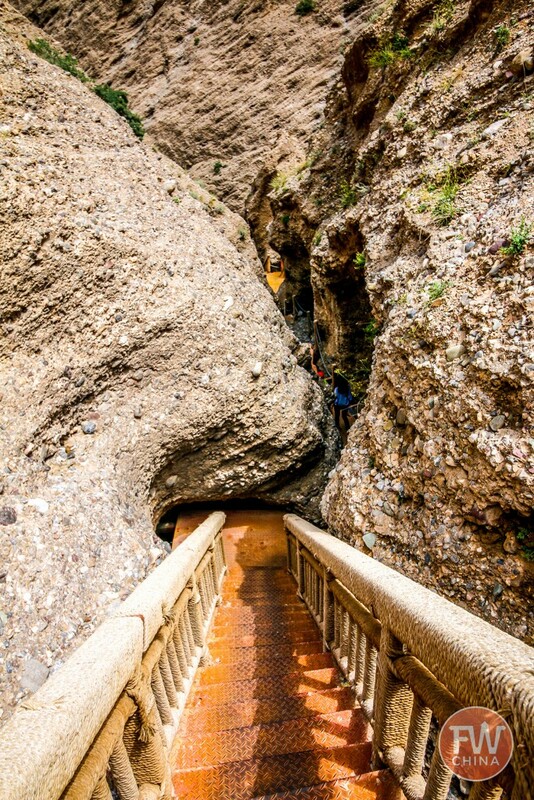 Guides are no longer necessary and the ladders have been replaced by strong staircases. The 1.8-mile trail to the arch is still a tiring climb that requires a certain level of fitness from those that visit. However, it’s no longer the dangerous expedition it once was. The first glimpse of the arch during the hike. 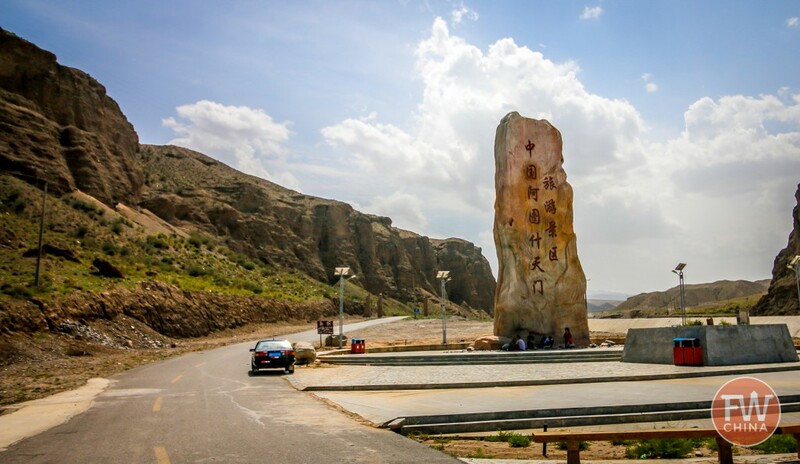 To make your own visit to Shipton’s Arch, all you need to do is arrange transportation from Kashgar for the day. This can be done either through a travel agency or by hiring a taxi off the street. For the latter, you can use the local Uyghur or Chinese (Mandarin) name, or bring a photo so you can point to it. Hired transportation, depending on the type of car and season, can cost anywhere from 500-800 Yuan per day ($75-$120), so it’s best to get a group together if possible. Once you reach the visitors center, which can take 1-2 hours of driving, you will be required to purchase an entrance ticket. They point you on your way and off you go! Josh recommends bringing water and snacks since there is no place to stop and buy this during your trip. He also suggests that many tour companies offer the option to either arrive super early or stay late to see the sunrise/sunset and says it’s gorgeous. The only problem is hiking in the dark, so bring good flashlights. 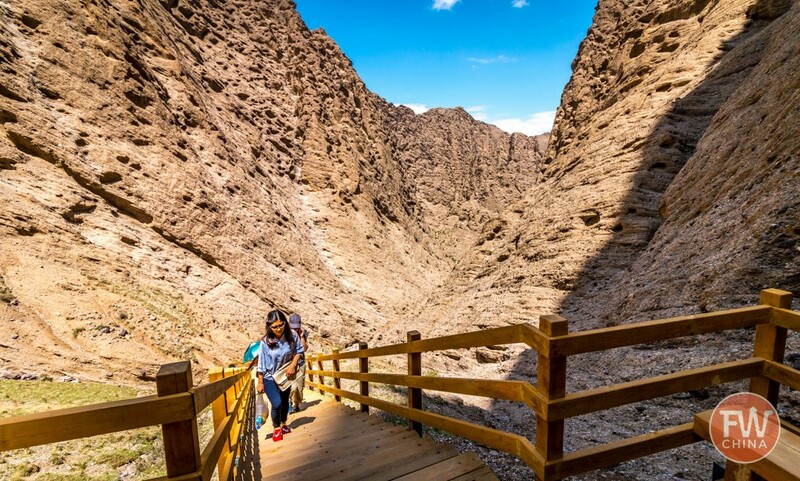 NABS member Josh Summers is a writer, musician and entrepreneur who currently resides in Urumqi, capital of China’s western province of Xinjiang. He has been traveling and writing about this region since 2006 and has no plans to stop in the near future. You can find his original blog on this subject here.